When I think of the perfect rainy day, I picture myself curled up in a blanket with a good book, or taking a long (much needed) nap. If you’re alone, I’d suggest those things. Maybe even throw in a bubble bath. But if you have kids, napping or reading or bathing might be difficult. Luckily, there are many rainy day activities kids will love so you can keep them entertained and maybe snag some time for yourself! Do you have a rainy forecast ahead this weekend in your area? 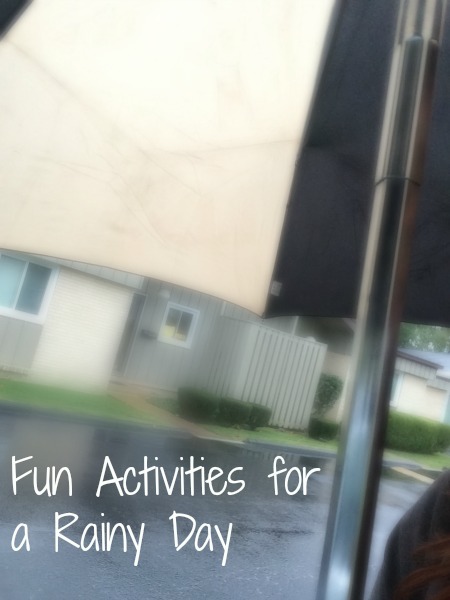 Here are some fun family activities for a rainy day you are sure to enjoy. I think I can call myself a master in the art of fort building. My siblings and I would move and stack furniture in only the most optimal arrangements for blanket placing. We would spend hours in those forts with flashlights reading, telling stories, snacking or pretending to camp. Sometimes we would leave one end open and set up some movies. 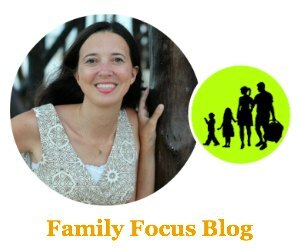 Simply try throwing some blankets between chairs and tables with your kids! You’d be surprised just how much fun it can be! Turn up your favorite tunes and clear the floor! I have countless home videos of my sister and I strutting our stuff around the living room. If your kids like dancing, try it! You’ll probably get a kick out of your kids’ moves! It may be just be a new favorite for your indoor activities list. Make a set of clues for your player(s) and make sure each clue leads to the next. Place each clue inside of something, such as an envelope, and label each clue (i.e. 2/10) so that the kids can keep count of the clues. Try giving each clue a clever rhyme for fun! Whoever solves all of the clues and finds the treasure or prize—change, toys, maybe special privileges—is the winner! The harder the clues, the longer the hunt! My mom used to set up spa stations in her bathroom for nails, hair, and makeup. My sister and I would spend hours acting as if we owned a salon! Giving my mom the best of the worst hairstyles and multi-colored nails was normal. And watching my sister try to win an imaginary award for the most braids in one head (the head being my head) was hysterical. If you have a girl, this is perfect! Although we did teach my brother how to braid; it has come in handy over the years. Another of my favorite Rainy Day Activities Kids Will Love is a movie marathon. Rainy days are perfect for movies because the house stays relatively dark. Pull out your favorite DVDs and your comfiest pillows and blankets. I like picking a theme, genre, or trilogy! I loved making cookies, brownies, fudge, or anything sweet with my family. And I blame rainy days for my massive sweet tooth. We also liked making our own pizzas. It was fun to try and toss the dough and top the pizza with obscure ingredients from the fridge! Board games, card games, word games, or any sort of game you can think of will pass time! And games are a great way to bond as a family. Games like Monopoly, Uno, Sorry, and Clue were popular in our household. I loved finger painting, coloring, making bracelets, necklaces, helping my brother build airplanes, etc. There are endless possibilities for indoor crafts! But if you’re looking to stay in the rainy spirit, try decorating umbrellas with paint or markers! Nylon white umbrellas with plastic knobs work best. Getting into the watery spirit, let your little ones take a long bubble bath and maybe make some fun colored soaps to play with. If the rain isn’t coming down hard, put on your best rain boots and coats, and grab an umbrella. I loved playing in the rain and jumping around in the largest puddles I could find! It is getting cold, though, so don’t stay out long. This is definitely better to do in the summer when you have a lesser chance of catching a cold! 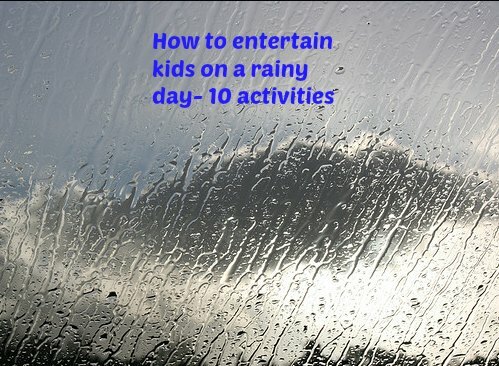 I hope you find these Rainy Day Activities Kids Will Love useful. I encourage everyone to get creative when it rains! What do you do on a rainy day? Give us your thoughts on your favorite fun family activities for a rainy day! My kids are all grown up but we still enjoy some of these activities, especially baking and movie marathons. Definitely sharing :). Hope you had a great week, happy Friday! I definitely still enjoy those two activities as well! Thank you for the great ideas! It’s snowing out today and I think it’s time for a SNOWY day activity tonight! Our favorite rainy day activity is jumping rope. It’s a fun cardio workout that the entire family can do.